We hope you've got room on your kitchen table because we've come up with the ultimate dessert menu with our latest free eCookbook featuring 35 of our best cheesecake recipes. We've got all of the classics lined up for you from chocolate cheesecake recipes to strawberry cheesecake recipes to no bake cheesecake recipes to cherry cheesecake recipes and much, much more. We hope you have plenty of silverware on hand because your friends and family are sure to be clamoring for a bite of one of these cheesecake desserts! It doesn't matter what kind of easy cheesecake recipe your friends and family are in the mood for 'cause we bet our collection of the best cheesecake recipes has it covered! 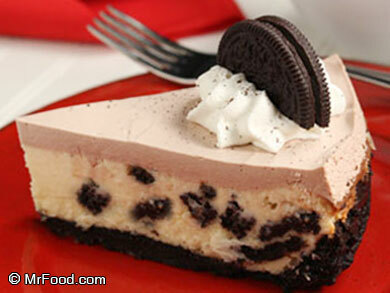 Cheesecake is good for more than a special treat on a night out. Whether you need a prize food for your ultimate dessert menu or you just want to bring something decadent for your next potluck, these easy cheesecake recipes will satisfy with each and every bite. 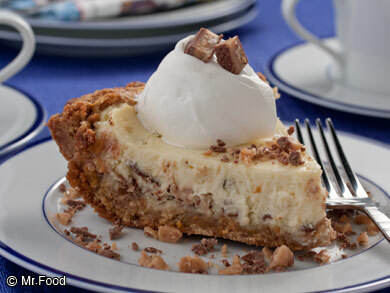 So get ready to choose your favorite cheesecake recipe and loosen your belt buckle because you're in for a real feast. 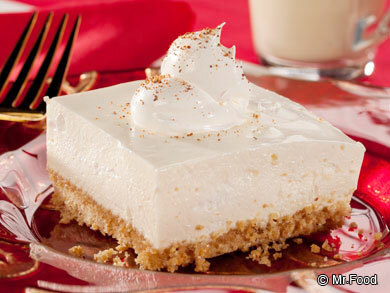 Download your free copy of The Ultimate Dessert Menu: 35 of Our Best Cheesecake Recipes today. We go straight to the good stuff with our best chocolate cheesecake recipes. Whether you feel like going the classic route with our reader-favorite recipe for Chocolate Chip Cheesecake (page 4) or you're looking for a guilty pleasure with our Fudge Cheesecake Bars (page 5), we can guarantee you'll be sittin' pretty in dessert heaven! We even use some of our favorite chocolate sandwich cookies to make recipes like our Cookies 'n' Cream Cheesecake (page 7) for a contrast of flavors that simply can't be beat. We all know the best time of year for baking is fall. Why wait until the weather starts getting chilly though when you can have the taste of fall all year long with our easy-to-make pumpkin cheesecake recipes! 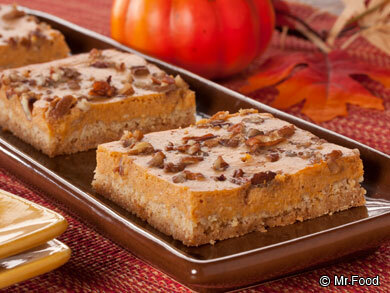 From classroom favorites like our Pumpkin Cheesecake Squares (page 10) to our Halloween dessert we like to call our Pumpkin Patch Cheesecake (page 11), there won't be a person in the room who isn't craving a pumpkin coffee and a cozy sweater. You've got dinner in the oven and a side dish heating up on the stove. You don't have room to fit in a dessert as well, right? Wrong! With our no bake cheesecake recipes, you can still have a blissful bite of your favorite dessert without sacrificing your valuable cooking space. For the chocoholics out there, you're going to do backflips over our Double Chocolate No-Bake Cheesecake (page 12). And when you're running around trying to cook something up for the holidays, dessert will be a breeze with our recipe for No-Bake Eggnog Cheesecake (page 13). We're setting our sights on the Big Apple, and boy, do we have some big shoes to fill! New York is known for having some of the best cheesecake in the country, and with our easy New York cheesecake recipes, you can get that same taste without ever leaving town! If you're looking for some sweets to share (though you may not want to), our New York Cheesecake Squares (page 15) come in a handy size that's perfect for your next party. If you'd rather, you can take a more classic route with our easy dessert recipe for New York Deli Style Cheesecake (page 17). You don't need to travel to eat good! 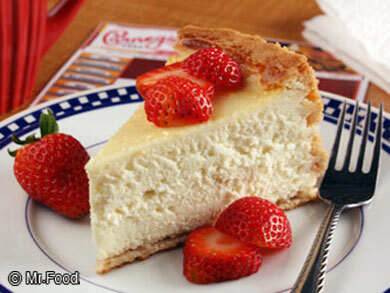 Are you looking for just a small sampling of your favorite homemade cheesecake recipe? Then you're in luck because we've got some bite-sized treats with our selection of mini cheesecake recipes! 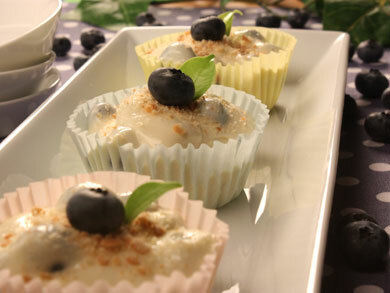 Get the kids excited with our fun 'n' friendly Mini Monster Cheesecakes (page 18). (Trust us — the adults will love 'em too!) 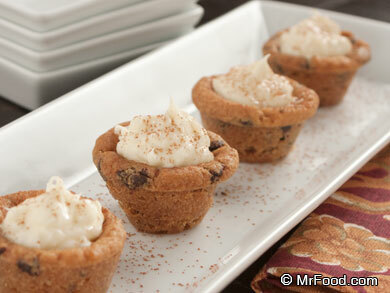 Or, you can grab a tub of vanilla ice cream to pair with our gourmet Mini Chocolate Chip Cheesecakes (page 21). Watch out — you may not be able to eat just one! Head on out to the strawberry patch and get ready for a fruity explosion with our selection of easy strawberry cheesecake recipes! Get rid of the guilt and grab an extra slice with our recipe for Low Fat Strawberry Cheesecake (page 23). Don't you love it when you can feel good about eating dessert? 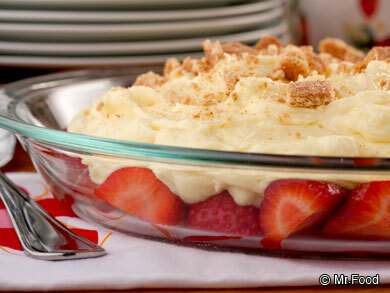 And if you're looking to raise some eyebrows, check out our Upside Down Strawberry Cheesecake (page 24) recipe. It's a burst of flavor that just can't be beat. Welcome in the spring with some of our very best blueberry cheesecake recipes! Do you remember those times when you'd stuff your face with blueberries until your tongue turned blue? Well, you might feel like doing the same with these blue-tiful desserts! From our fresh-tasting Blueberry Patch Cheesecake Pie (page 28) to our super simple blueberry dessert recipe for Easy 3 Step Blueberry Swirl Cheesecake (page 29), you can have a bakery-ready dessert in no time at all. None of these simple cheesecake recipes whet your fancy just yet? Well, hold on tight because we've got some extra special desserts coming your way. From an Italian dessert classic like our Cannoli Cheesecake (page 30) to a tropical treat like our Key Lime Pie Cheesecake (page 31) to a smooth 'n' creamy cheesecake favorite like our Tasty Toffee Cheesecake (page 32), there's bound to be an easy cheesecake recipe that suits your style. As a fan of the Mr. Food Test Kitchen's Quick & Easy cooking philosophy, I know you can see the value in this free ebook. Try out these easy weeknight dinner recipes with the free The Ultimate Dessert Menu: 35 of Our Best Cheesecake Recipes. Once you subscribe to receive our newsletter, you'll see how much fun it is to be a part of the Mr. Food Test Kitchen community! If you've ever searched for quick and easy recipes, fast dinner ideas, slow cooker recipes or anything in-between, let MrFood.com deliver triple-tested recipes straight from our Mr. Food Test Kitchen that are both easy to make and delicious to eat. Check out this free eBook and the MrFood.com site to draw tons of inspiration for your next holiday or meal!